The roots of the interPLAY Festival are strongly theatrical. The annual visual and performing arts celebration began as a festival for youth, revolving around a number of plays produced on stages in non-traditional spaces downtown, in the blocks surrounding Jubilee Centre. By the time I got involved in 1996 (so many years ago! ), festival organizers began widening out the reach and focus of the annual event, always maintaining lots of options for children and young families, but adding components geared toward our rapidly expanding population of adults looking for summer fun. 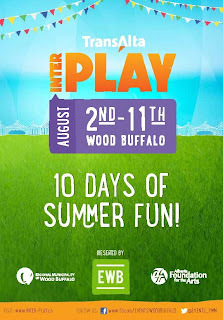 Being one of the greying sages of interPLAYs past, the team at Events Wood Buffalo has consulted with me a time or two to ensure that the 2013 edition of interPLAY - number 23 if you're keeping score - leverages lessons learned over the last decade and a half in the shaping of its programming, site layout, and marketing. 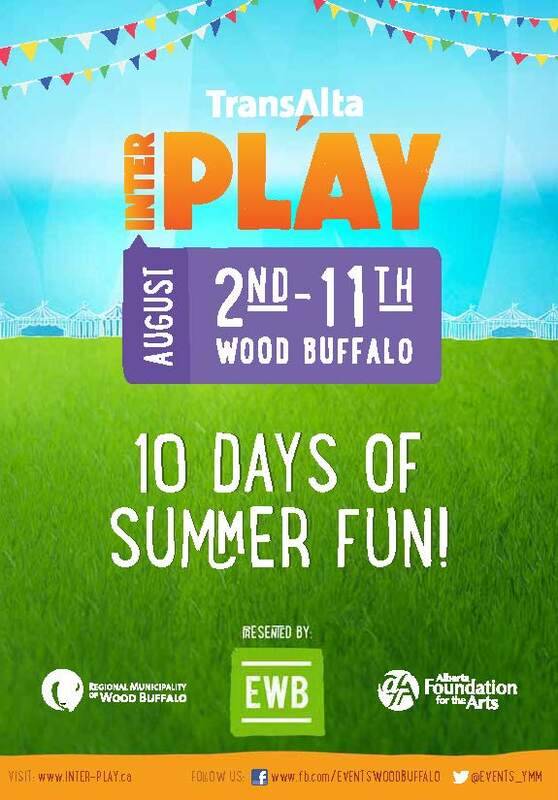 Under the leadership of David Whitelock, Nadia Power and her team, particularly Steph Link who has taken on a programming role with the festival, have crafted 10 days of fun that will remind everyone why interPLAY is Fort McMurray's signature summer event. Happening at Keyano College and King Street, with activity nodes in Keyano Theatre & Arts Centre, its parking lot, right on King Street, and in Doug MacRae Park, interPLAY offers a little something for everyone. Here is my TOP 10 LIST of what I'm looking forward to the most. Unfortunately, I'm out of town for the first few days of the festival, so I'm going to miss several awesome elements including the opening reception with A Touch of Class, the performances of Amelia Curran and Don Brownrigg, a classic car rally with my good friend Mychela providing the music, and the interPLAY Film Festival. The only reason that they won't appear on my TOP 10 LIST is because we'll be down south at a family reunion. 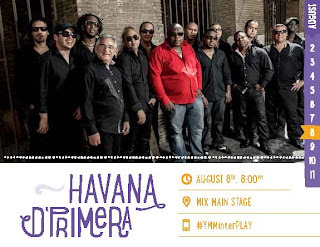 Led by one of the greatest trumpeters of his generation, Alexander Abreu, Havana d'Primera will light up the MIX Main Stage to officially kick-off the on-street portion of interPLAY. 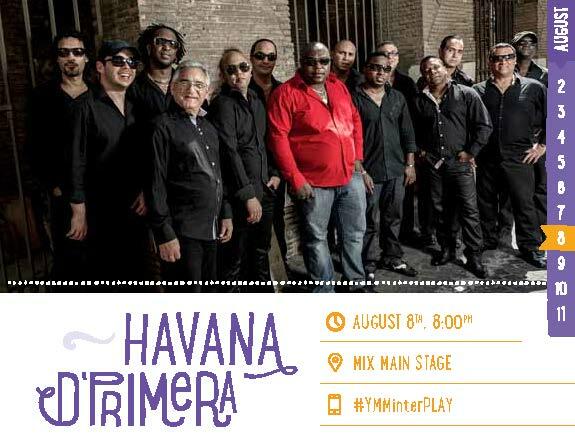 Joining us all the way from Cuba, this amazing ensemble will deliver a world-class show. 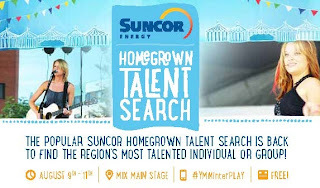 Oh, and by the way, in case you're new to Fort McMurray, everything on the MIX Main Stage is absolutely FREE and there is no entrance fee to the interPLAY site. 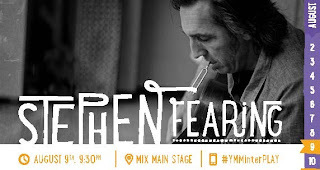 Before we leave the MIX Main Stage I have to express my excitement of being able to see Stephen Fearing, one of Canada's great singer/songwriters, and one of the founding members of Blackie and the Rodeo Kings. My interPLAY memories are peppered with Canadian songwriting and musical geniuses, among them John Wort Hannam, Corb Lund, Cam Penner, Fred Eaglesmith, Kathleen Edwards, The Lost Fingers, and Tim Hus. Stephen will add incredible value to this legacy of talent and an unforgettable performance. For over 10 years, I was the guy who scoured the planet, trying to find new and exciting street performers to invite to our little festival. One of the guys I always wanted to get, because he was widely regarded as being at the top of the heap, was David Aiken, aka The Checkerboard Guy. 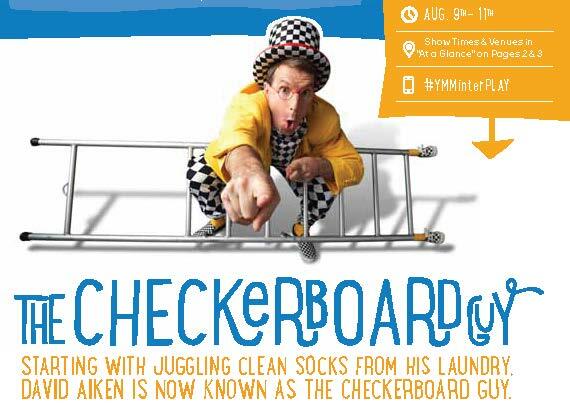 He is one of several street performers who will be gathering large circles of people to create hysterical street theatre experiences. Come equipped with Loonies, Toonies and small bills. They'll inspire you to drop them in the hat. 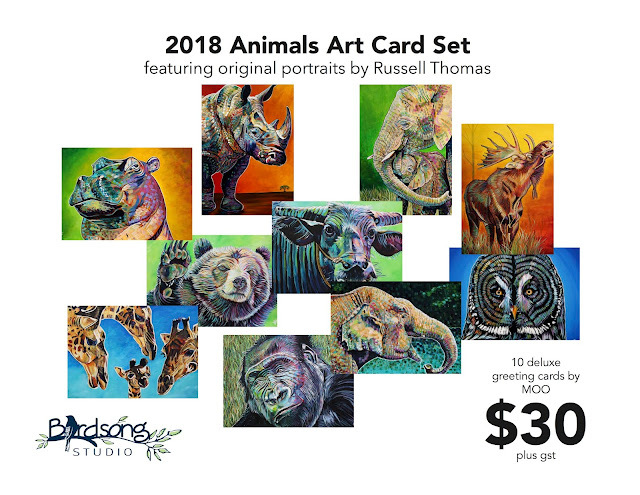 Our family has been to the last two Full Moon Cafes and have been blown away by the talent. Beginning with a half-hour drumming circle, which you get to participate in, the Full Moon Cafe exposes and encourages talent of all ages and disciplines. 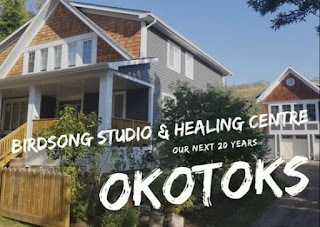 This is a great opportunity to discover one of the cultural jewels of our community. The Amazing Art Race is a great activity to escape the frenetic fun and attractions of interPLAY and spend some time in creation mode. 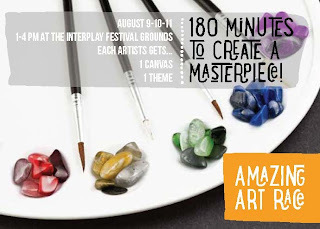 Artists, young and old, get one canvas, one theme, and 180 minutes to create your masterpiece. I tried this last year, and while my painting sucked, I really enjoyed the Zen-like quality of the three hours. I can't spill the beans on this one yet, but it ranks right up there in terms of my most anticipated events at interPLAY. 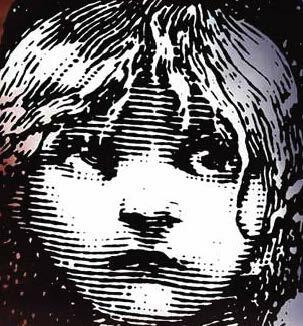 The gang at KTC will be announcing this sweet performance opportunity next week. It's going to be EPIC, just like the production coming in February 2014. At the recent YMM Canada Day celebrations, many people said the musical highlight was the Shantelle Davidson Band. I was fishing at the confluence of the Snye and Clearwater River when they were on the stage just a few hundred metres away, and they sounded awesome. They also hit it out of the park every single night as the house band for Hometown...The Musical! Much like former locals Aaron Lines and Craig Moritz, this country music act has the potential to hit the big time. Don't believe me? 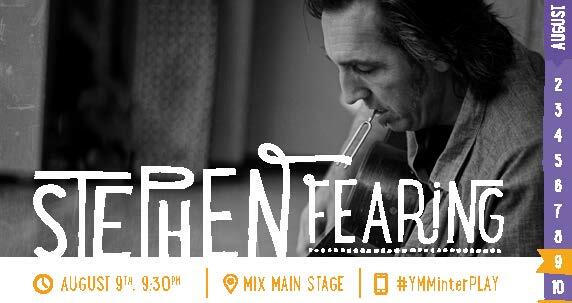 Get yourself to the MIX Main Stage for this show and find out for yourself. 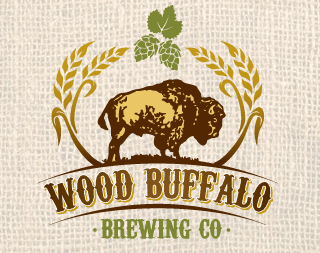 In the interests of full transparency, I may not partake in the refreshing suds that will be served up by the awesome Wood Buffalo Brewing Co., only because I'm on a wee diet at the moment, but I can promise I'll be tempted to cheat. One of my favourite things to do on hot summer interPLAY afternoon is to sit in the beer gardens with friends and enjoy a cold one. The fact that this is locally brewed product makes it even more appealing. My diet might have to look the other way for a few days. One of the best things we ever did over 20 years of building and shaping the interPLAY Festival was add the Homegrown Talent Search. It has provided great opportunities to emerging artists and captivating entertainment for festival patrons. It's back, and you won't want to miss a minute of the action. The preliminary round kicks off on Friday at noon at the MIX Main Stage with $4,000 in prizes on the line and the opportunity to join an illustrious collection of artists who have stood in the winner's circle going back to 2005. I won't lie to you, the thing I'm most looking forward to the most are the plays that will be featured at interPLAY. Over the years, I have been blown away by original work, improvisation, heart-wrenching drama and pee-my-pants comedies. 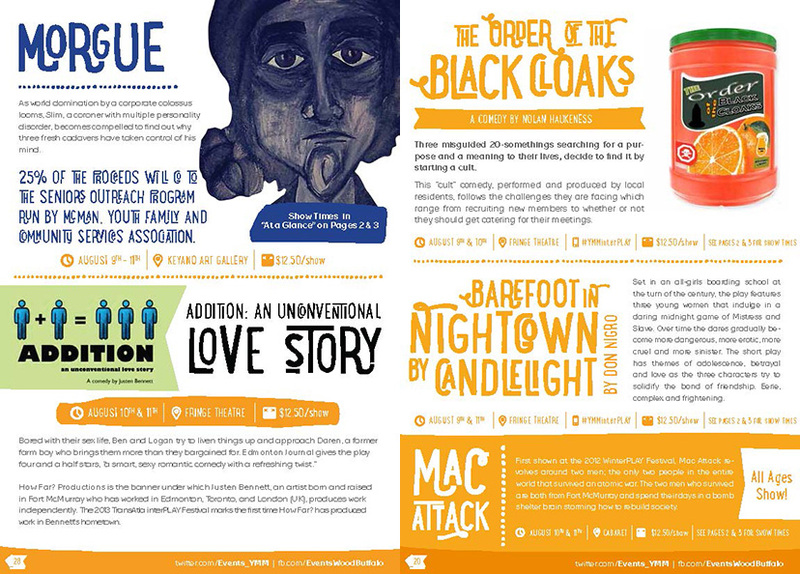 This year offers a stunning collection of plays that you deserve to see. The vast majority of people who come to interPLAY, or other similar festivals, never see an indoor theatrical performance. That is a travesty and needs to change, because this is where the real GOLD of interPLAY lies. On a personal note, it has been so much fun seeing my son Dylan taking an interest in the theatrical offerings of interPLAY. The last two years, he has hustled from venue to venue seeing as many shows as he can, growing an interest in this world that has been such a big part of my life. His interPLAY experiences seeded an interest that led to his involvement with Hometown...The Musical! There is no question that everyone's interPLAY TOP 10 LIST would be slightly different. Some might get a kick out of the Street Stunt Zone or shopping in the marketplace or trying to figure out how the magician does that certain card trick. That's the beauty of this festival and the imprint it has made over 23 years on our community and our summers. Watch for the printed program coming soon, or go online to the website to read more: www.inter-play.ca. These are 10 days in August you will never forget.